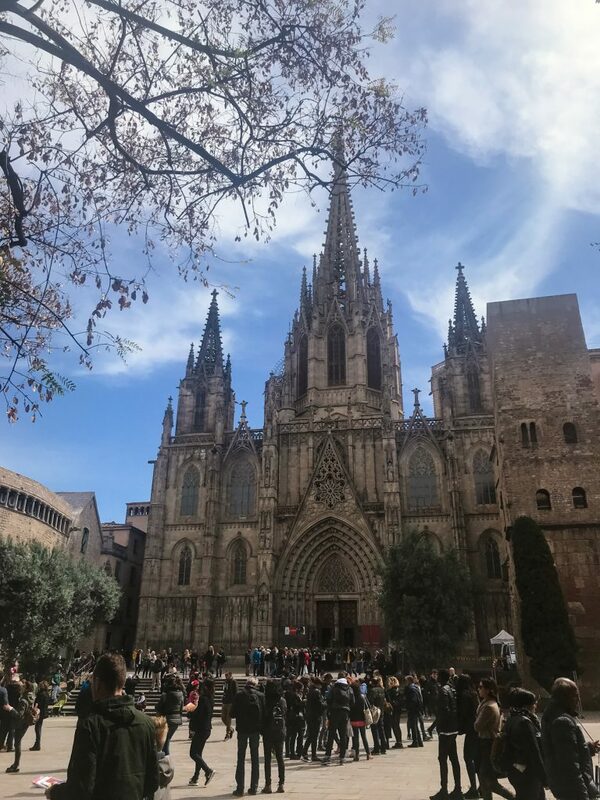 As promised, here is my Barcelona Travel Guide complete with what to do, where to eat, and more! 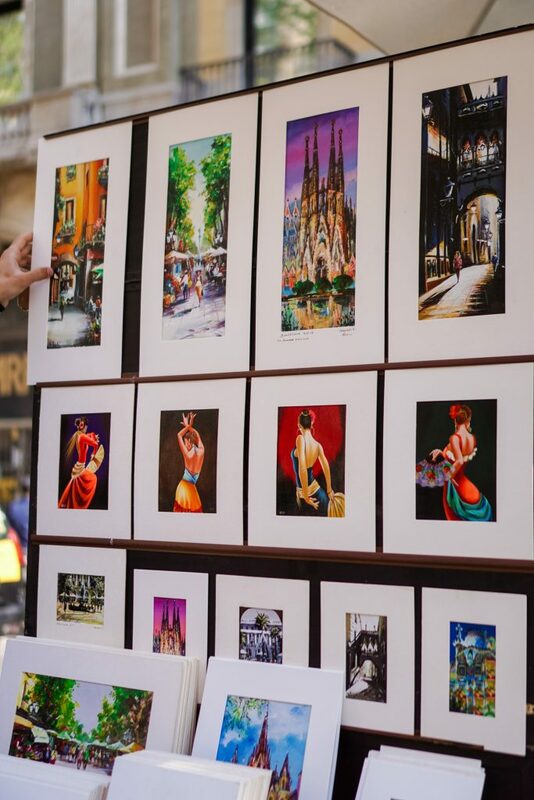 I know it’s beautiful in Chicago today, but we can always day dream about trips to Europe, right?! 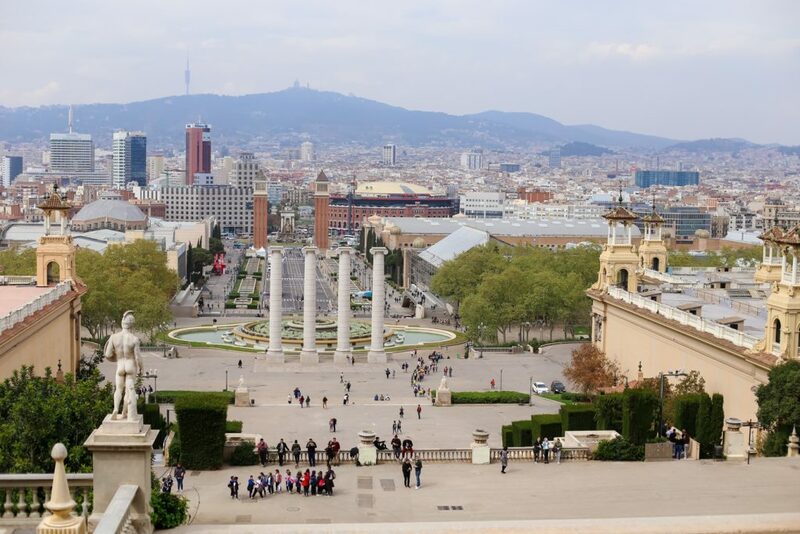 Today is all about the first leg of our trip abroad – it’s the Barcelona Travel Guide! As many of you know, we decided to take a trip instead of give gifts this year because there’s so much of the world we want to explore together. 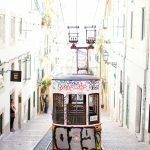 I discovered that you can search flights from Chicago to all of Europe on google.com/flights back in January, which helped me discover some really reasonable options. This was clearly a sign that we had to go! 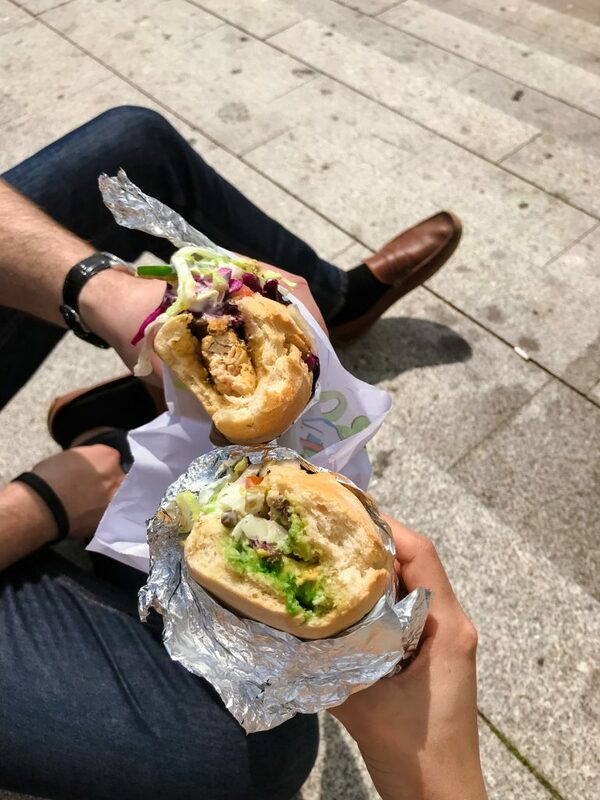 Since neither one of us have been to Barcelona or Lisbon (the Lisbon Guide is coming next week! ), my friend Whitney helped us plan for the trip. 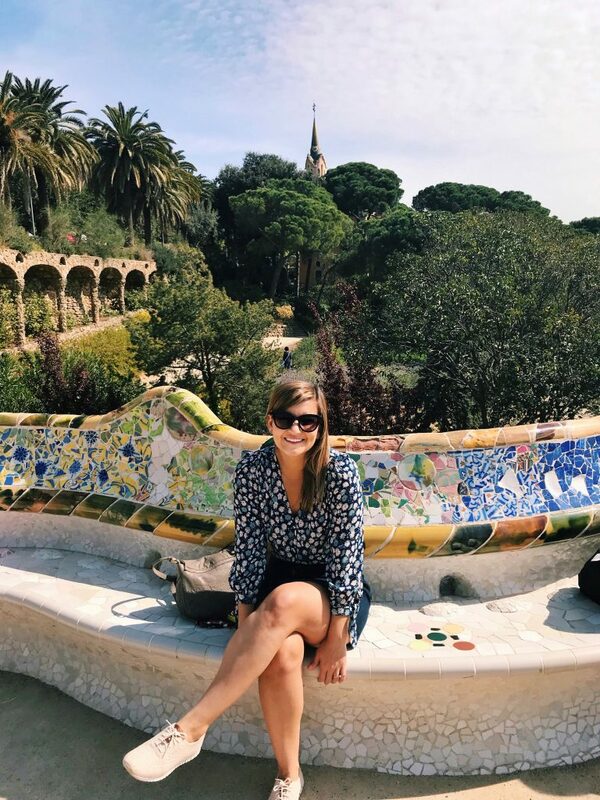 She is extremely well traveled and recently launched travel consulting sessions to help others see the world like she has. Basically, we told her about our travel priorities and she responded with full itineraries for each day of our trip, in a way that makes it easy to get from one place to another, with notes about why she recommends each activity/restaurant/etc, costs, booking links, etc. It was incredible. 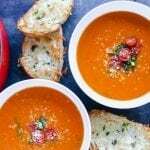 We tweaked the itineraries a little bit, but for the most part, we did pretty much everything she suggested, and our favorite meals were Whitney-recommended! If you’re planning a trip and you feel overwhelmed, I highly recommend reaching out to her. Honestly, we went at the end of March because we found such an incredible deal on flights and hotel. If you want summer temperatures, you might want to pay more to go in the warmer season (May-September). That being said, if you’re okay with walking around with a jacket, I recommend going in an off season. 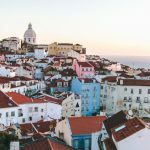 It took a lot of financial pressure off of our trip – and we never had to stop sight seeing because we were sweating too much! We found a deal on Expedia when we booked our flights, and we totally lucked out! We stayed at the Eurostars Grand Marina, and the location was awesome. 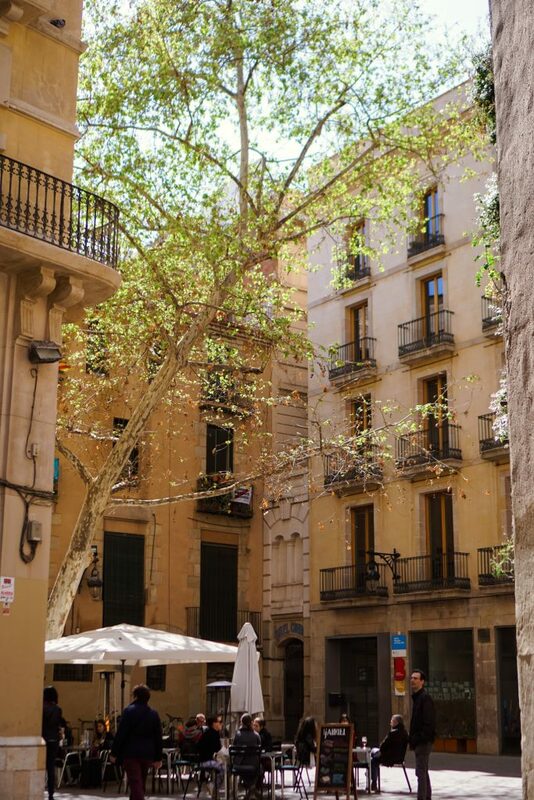 It was right on the water, walking distance from La Rambla and restaurants along the water, and it felt really safe. 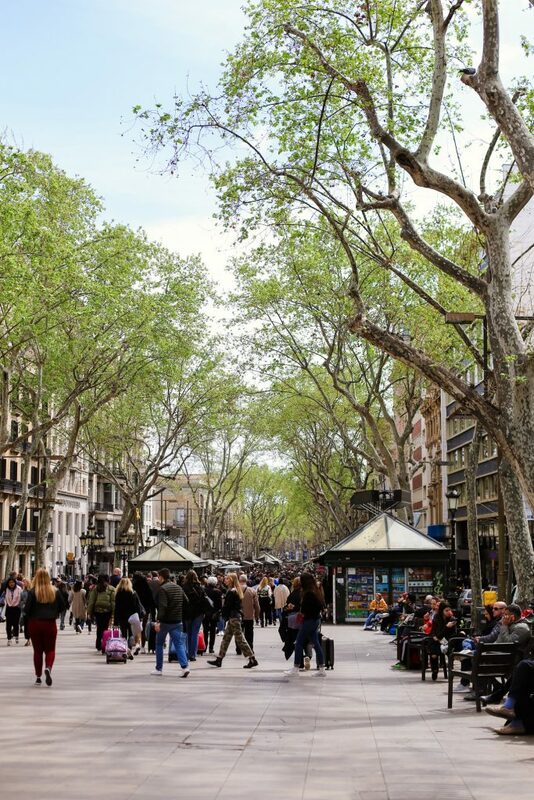 La Rambla is a tree-lined pedestrian walkway full of restaurants and street vendors. 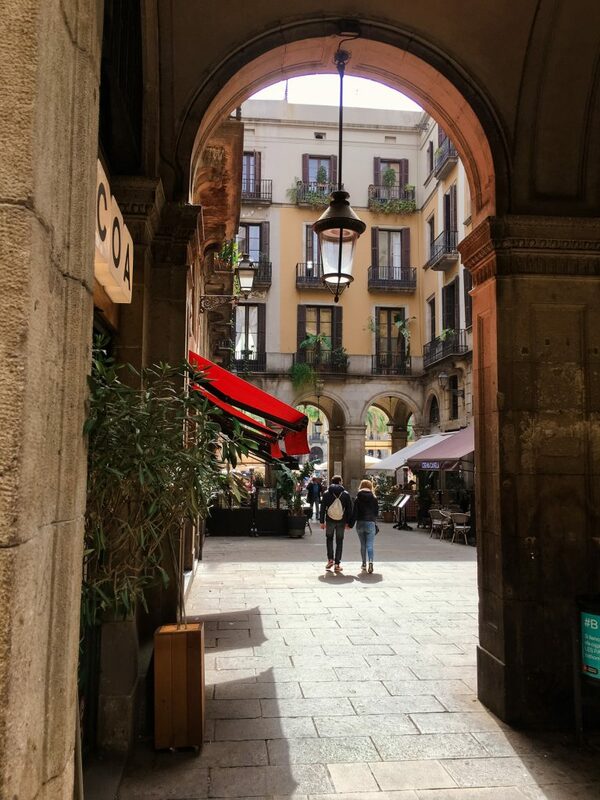 Knowing our hotel was close to La Rambla helped us get our bearings really quickly, which was really nice. We also bought a painting from an incredible artist and it’s now hanging in our home! Try to walk this during the week though, because it can get very crowded on the weekends and I was warned about pickpocketing a lot. This was the highlight of Barcelona for us. 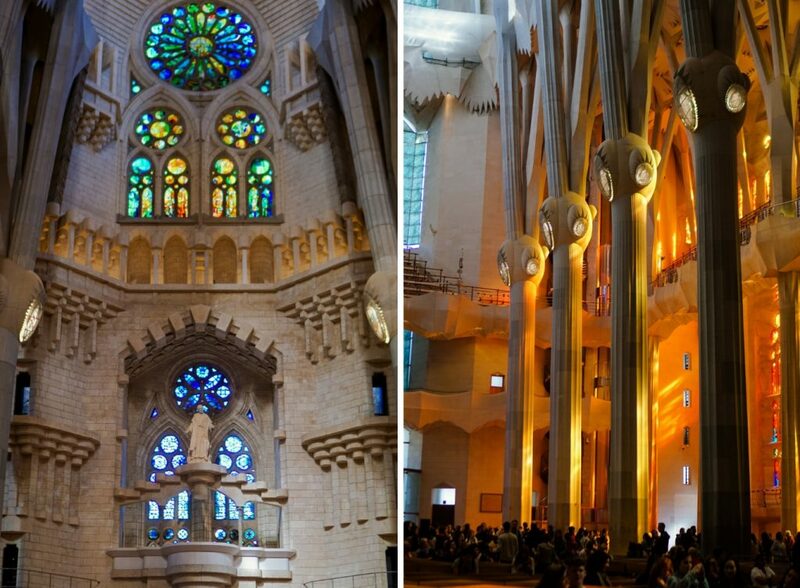 The Sagrada Familia is one of the most incredible structures/works of art I’ve ever seen in real life. My cousin Lizzie warned me that it’s surprisingly emotional, and she was 100% right. 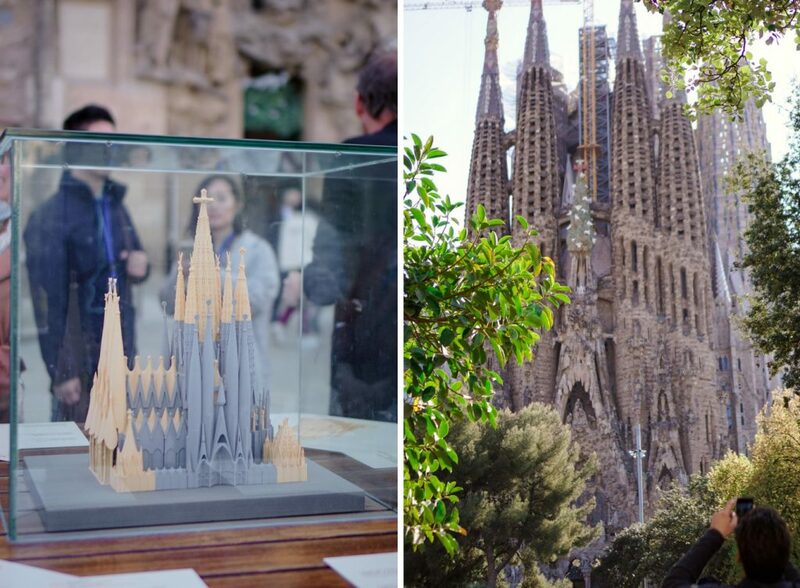 The fact that Gaudi knew he wouldn’t even come close to completing it, and that it’s still not done, is absolutely wild. Especially when you see how remarkable it is right now. 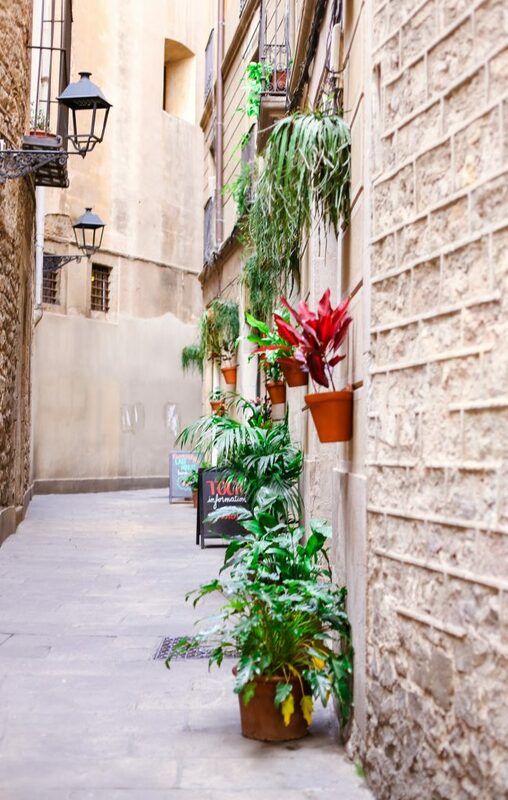 You absolutely cannot miss this if you go to Barcelona. I recommend getting tickets ahead of time, too! 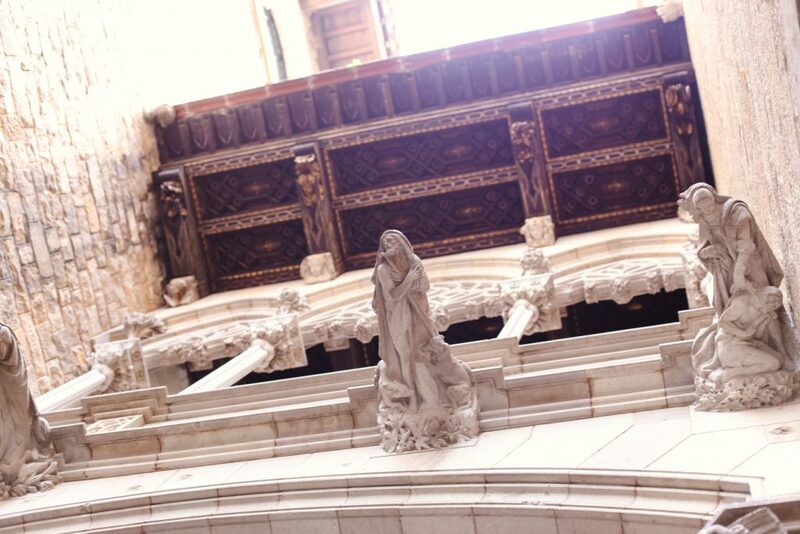 We booked this guided tour and it was really interesting to hear the history and intent behind his incredible work. Plus you get to skip the line! *The grey on the model below is what has already been built, and the peach is what they are still building. Just to give you an idea of how much MORE magnificent this will be when it’s done. 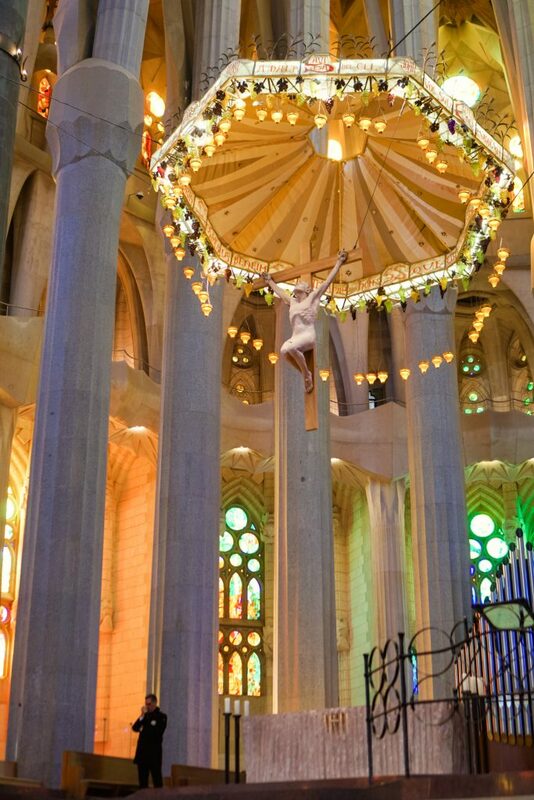 Sagrada Familia: The monument that represents any person; a work in progress, always changing and never fully finished. It’s hard not to fall in love with Gaudi when you’re in Barcelona! 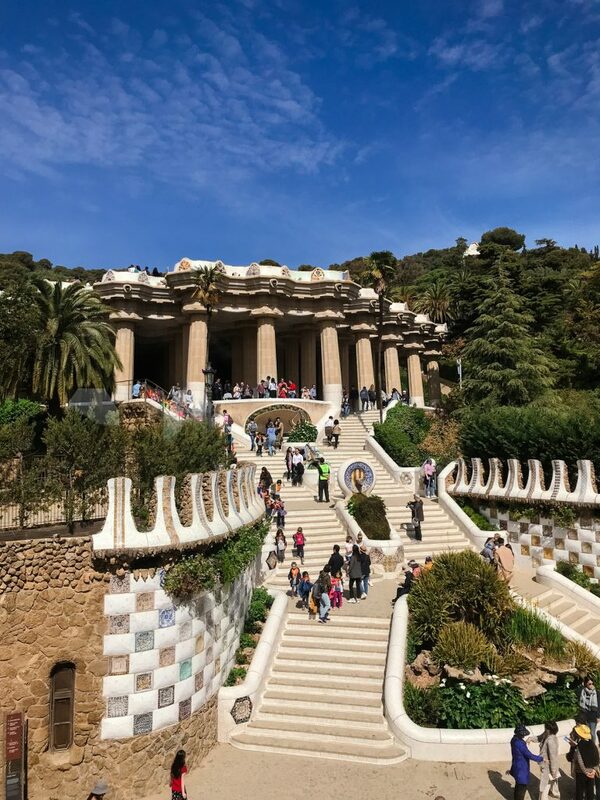 We actually went to Park Guell right before the Sagrada, so we had a full Gaudi day! 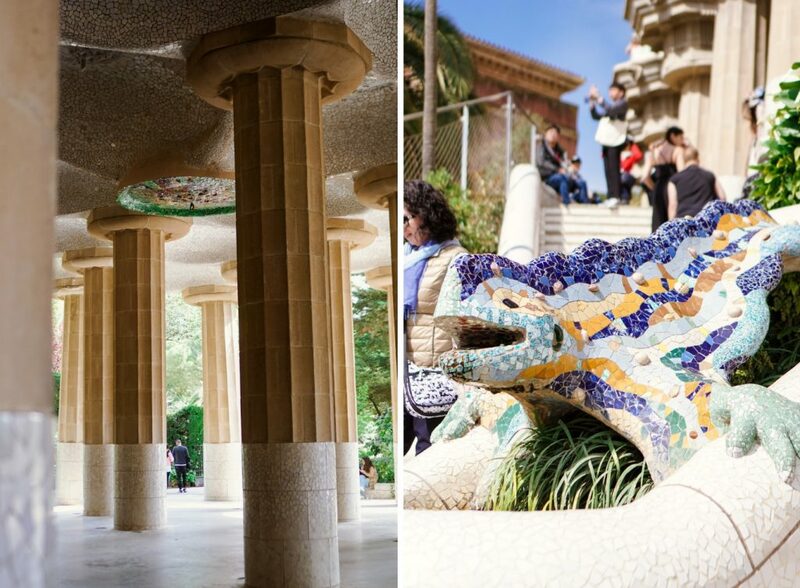 Park Guell is whimsical, colorful, and unlike anything I’ve ever seen before. Highly recommend coming here! Whitney recommended doing the Rick Steves Walking Tour, and we are CONVERTS now! First of all, it’s FREE. All you have to do is download the podcast – you don’t even really need to follow the corresponding map because they tell you exactly where to walk. 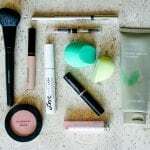 It is incredibly informational, really fun, you can pause when you need to, and you’ll see SO many things on your list! 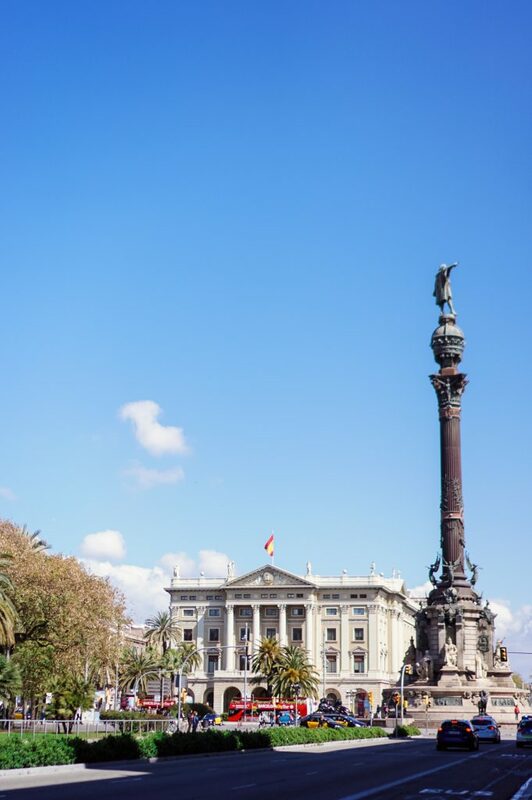 This walking tour covers the Plaça de Catalunya, La Rambla, Cathedral of Barcelona, Monument to the Martyrs of Independence, Jewish Quarter, Carrer del Bisbe, Plaça de Sant Jaume, Roman Temple of Augustus, and more. Yes, that’s Adam drinking out of the fountain. I’m pretty sure Rick said it was good luck! 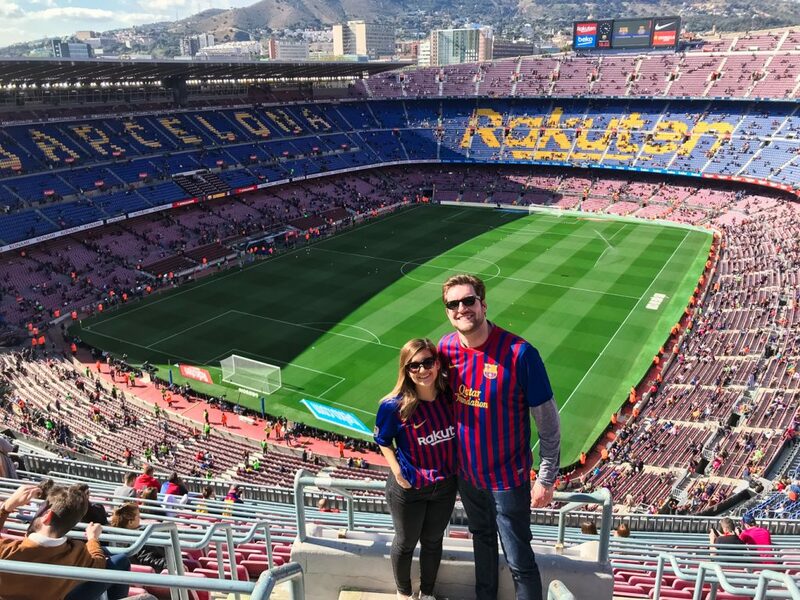 We felt really lucky that we got to go to an FC Barcelona game at Camp Nou for Adam’s birthday. But if there isn’t a game (or you don’t want to buy a ticket), you can still go! 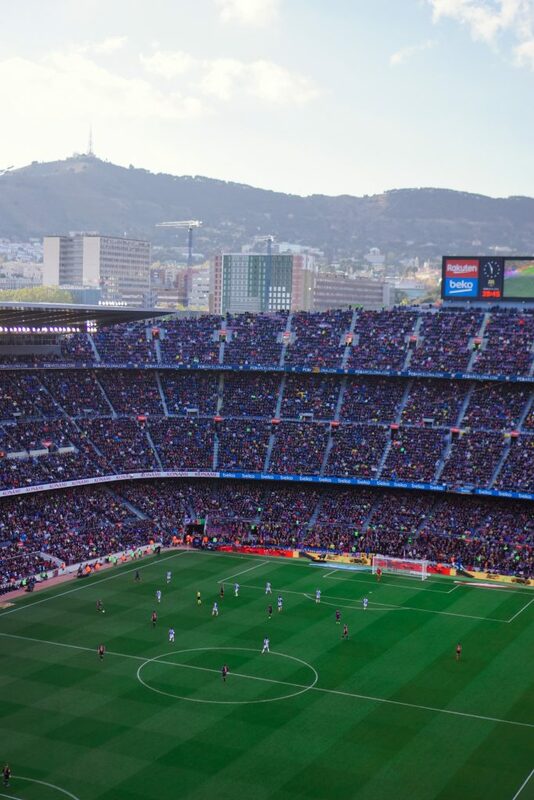 They have tours where you can visit the stadium and go to the Barca Museum. So fun for a soccer fan! It was too chilly to enjoy a true beach day when we were there, but we still went for a stroll along the water. It’s beautiful! 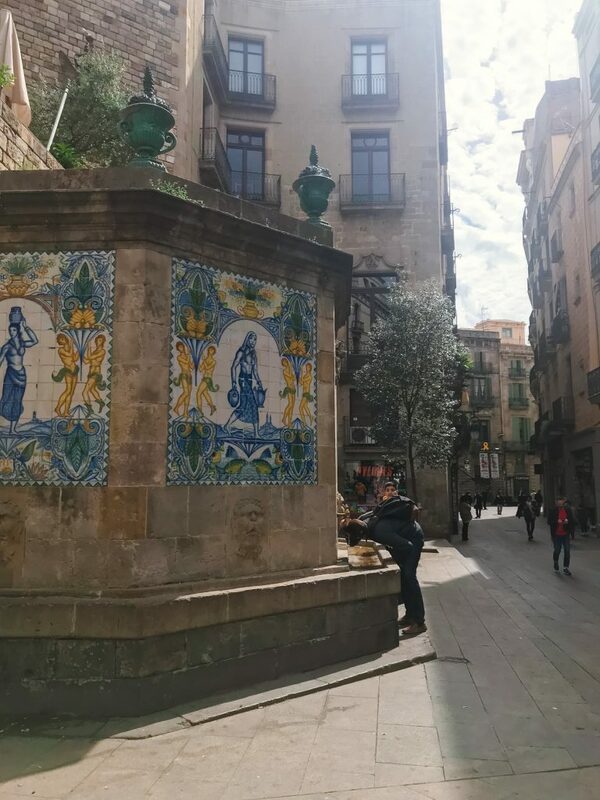 This was our favorite part of Barcelona to walk around and get lost. 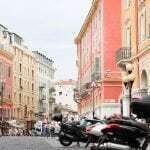 The streets wind into narrow dead ends and open up into bigger squares. 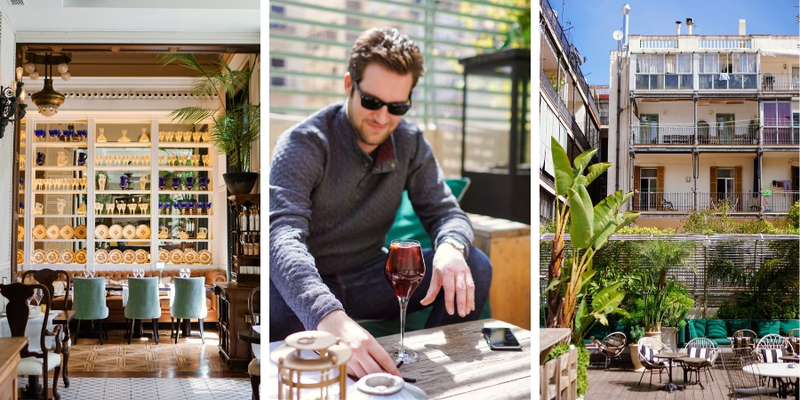 We found charming restaurants to stop in for coffee and/or sangria and tapas. All the while, there’s tons of history around you at all times. 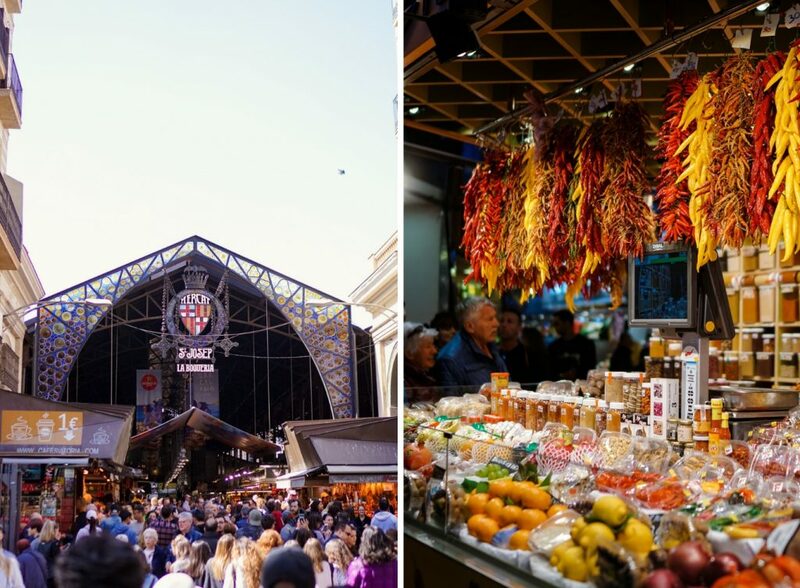 This is the most famous market in Barcelona, and for good reason. 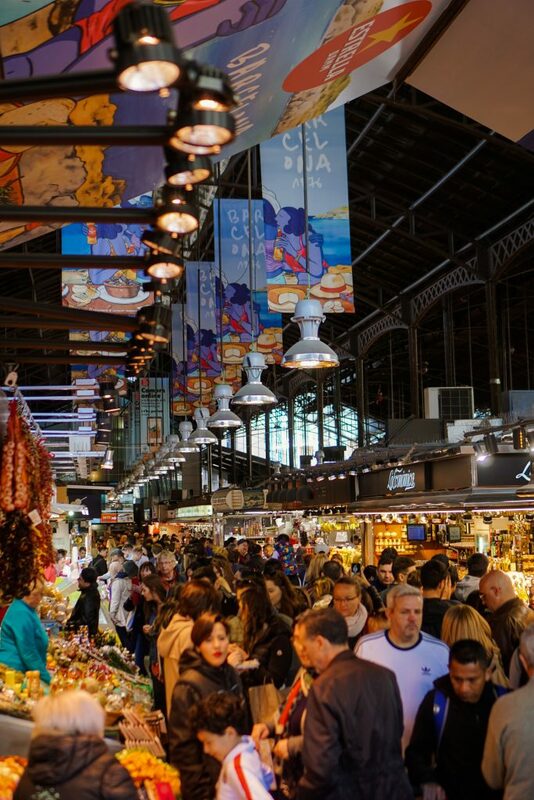 Not only are there produce, meat, cheeses, and seafood booths – but there’s also full blown restaurants inside. 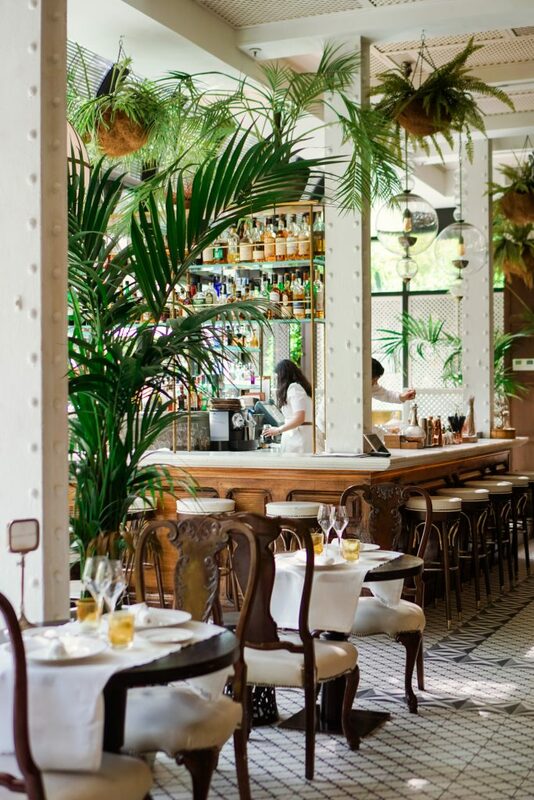 At some of them, you can grab a stool and point to the exact seafood you want them to cook up for you. It’s wild! 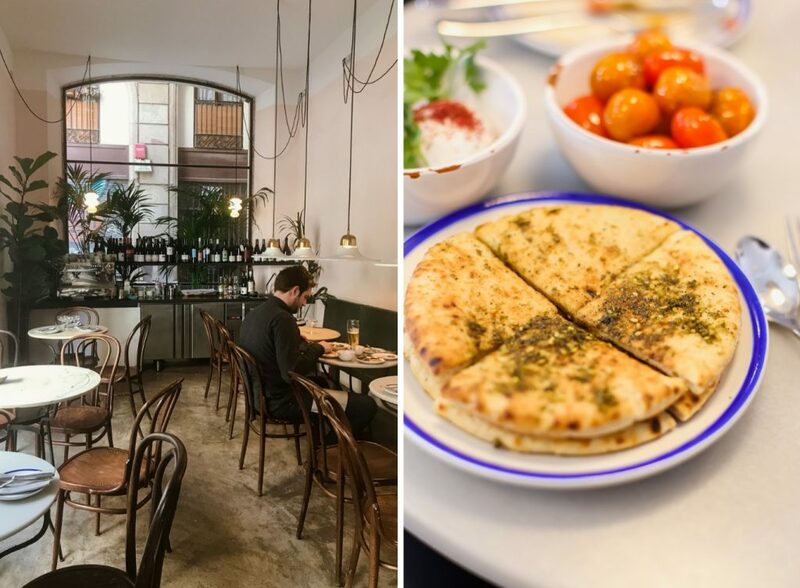 Whitney recommended this cute little Mediterranean gem and I’m SO glad we listened to her because it was one of our favorite meals in Barcelona. 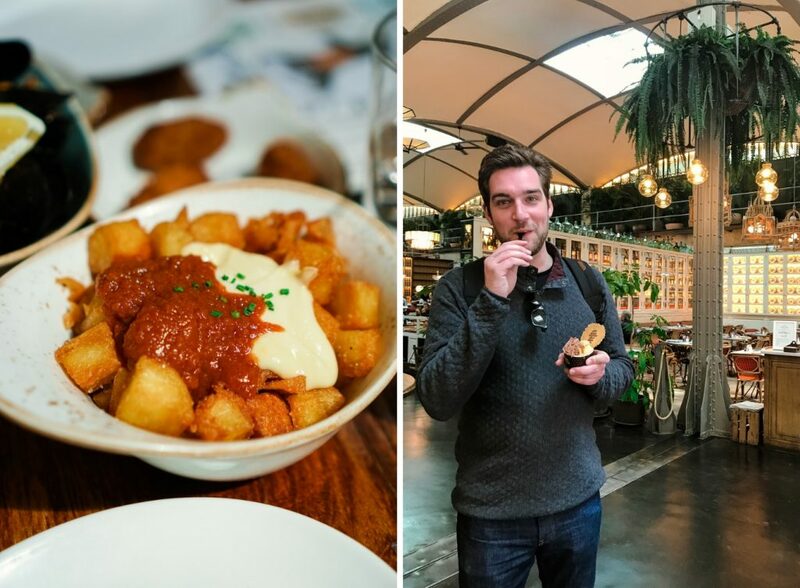 Tapas and paella for every meal sounds great, but it was really nice to switch it up. 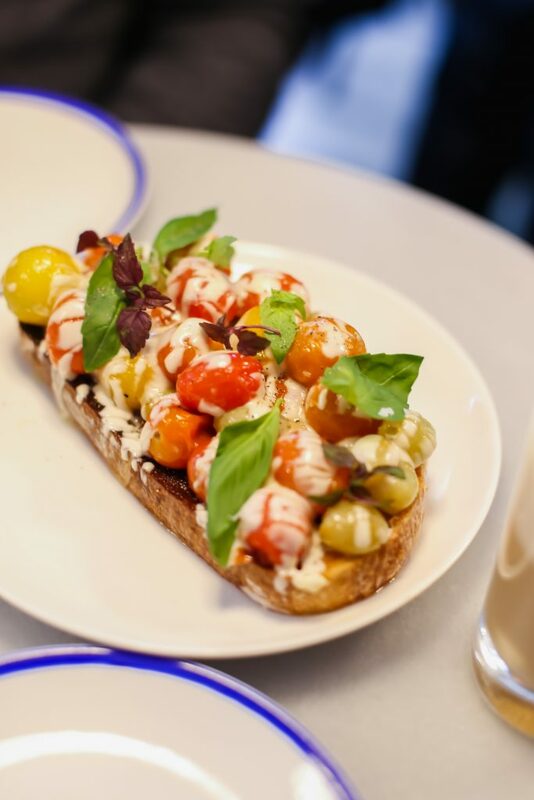 We split their roasted grape & tomato toast (insane) and hummus with warm pita bread, poached eggs, roasted halloumi and roasted tomatoes. So freaking good. 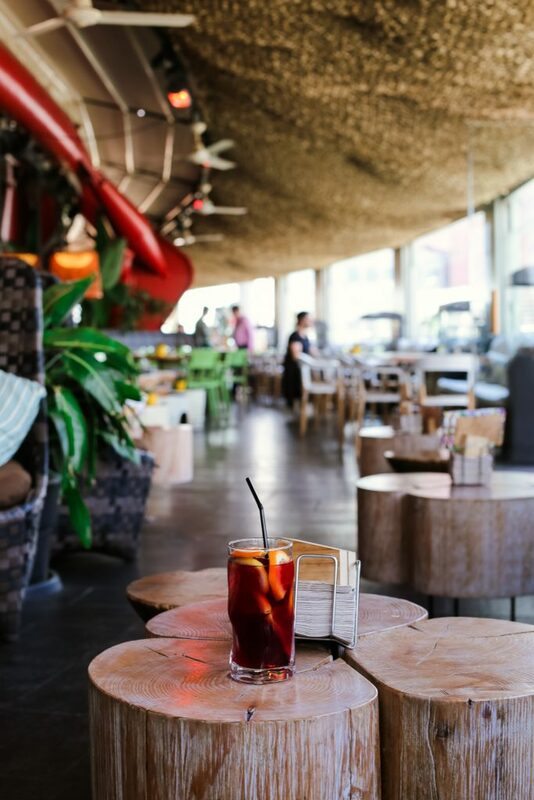 We didn’t eat here because we were craving more authentic Spanish food that day – but you MUST go for a drink because the decor is perfect. 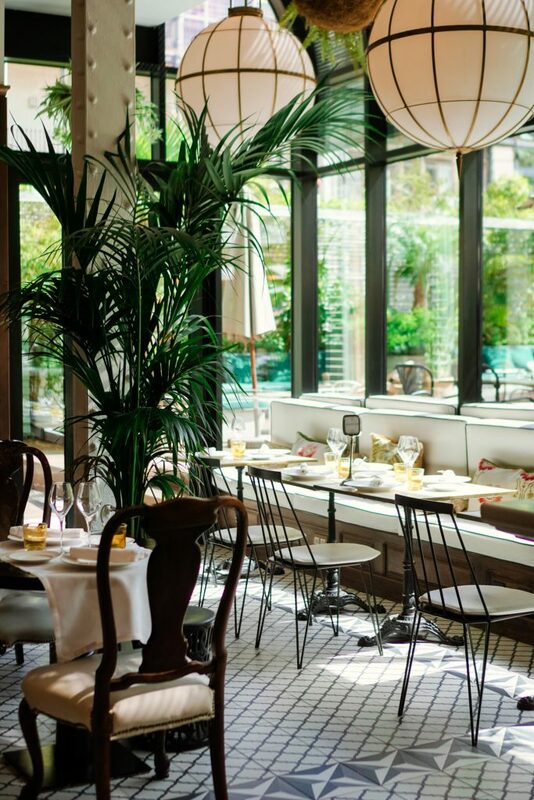 Not only is it one of the dreamiest hotels I’ve ever seen, but the restaurant and patio are insta #goals. Swooooon. 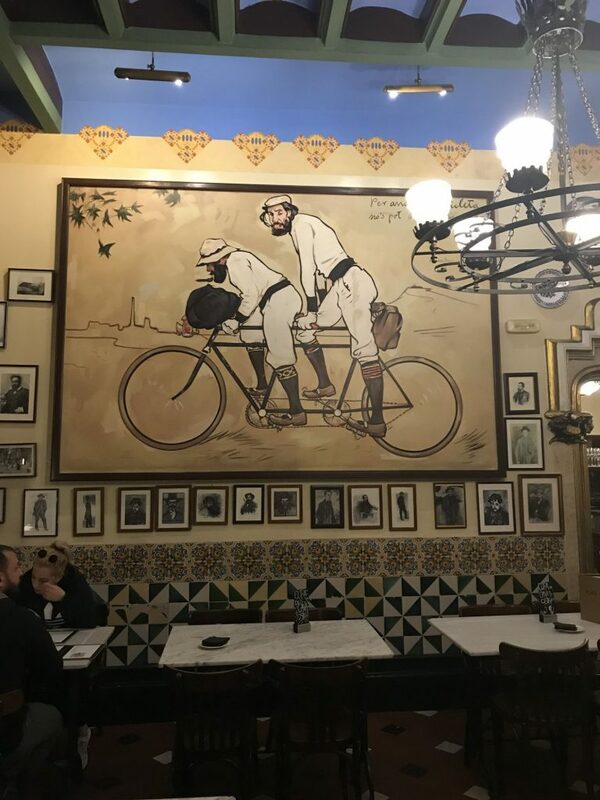 Els 4 Gats was a cafe that opened in 1897 in the famous Casa Marti. 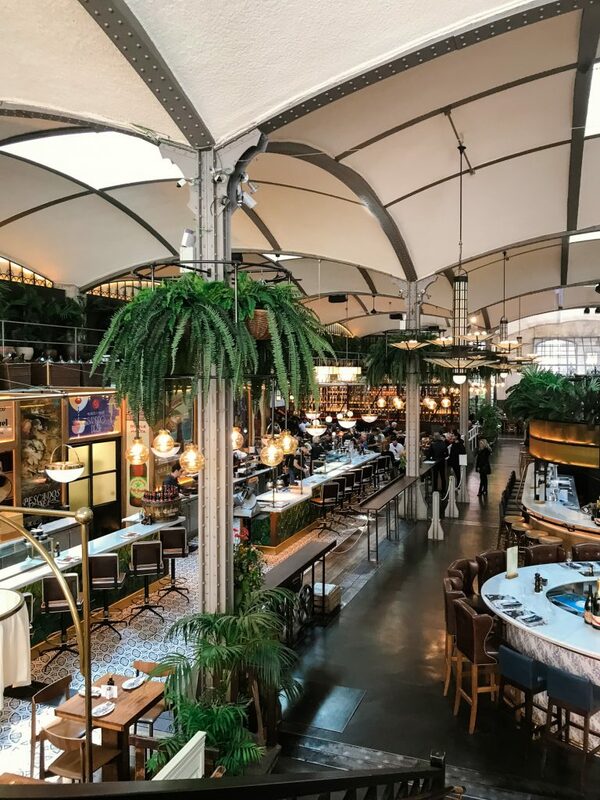 It became a meeting place for Barcelona’s most prominent modernist figures, like Pablo Piscasso and Antoní Gaudí – no big deal. 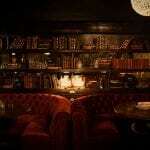 The bar closed due to financial difficulties, but was reopened and restored to it’s original condition in 1989. 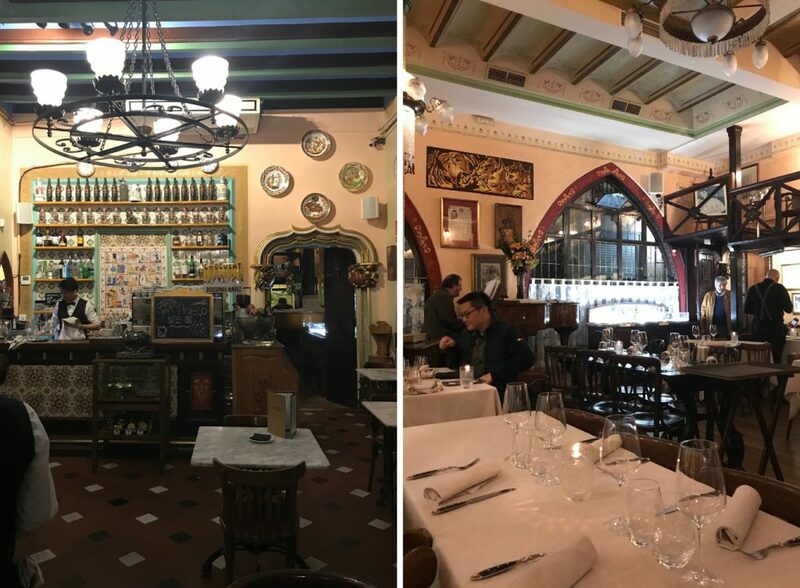 We read that the food wasn’t great online, but we loved our paella – and sipping wine in a historic restaurant with a piano playing was pretty darn great. 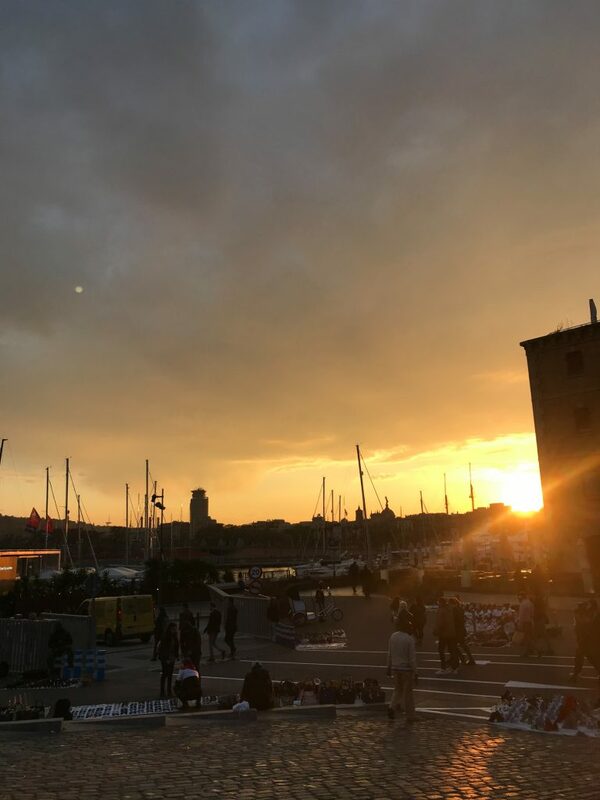 We went here for Adam’s birthday dinner after the FC Barcelona game, and ate way earlier than most Europeans do 😂 While we weren’t the most fashionable, it was so nice to sit outside and watch the sun set over the harbor, while drinking our favorite sangria of the whole trip! We both ate fresh seafood entrees and it was absolutely lovely. To be fair, everyone told us to go here for the paella, but we were kind of paella-ed out by the time we got here! Instead, I got a piece of fish that was okay (I like to be honest with you guys! ), but Adam had the BEST STEAK EVER. 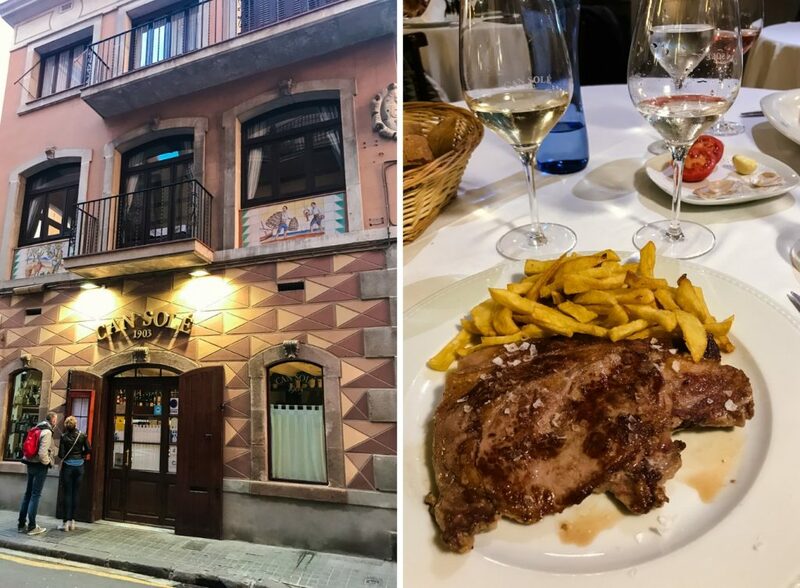 Moral of the story: if you go here, either get the paella or the steak, otherwise it’s a little pricey and not necessarily worth it. 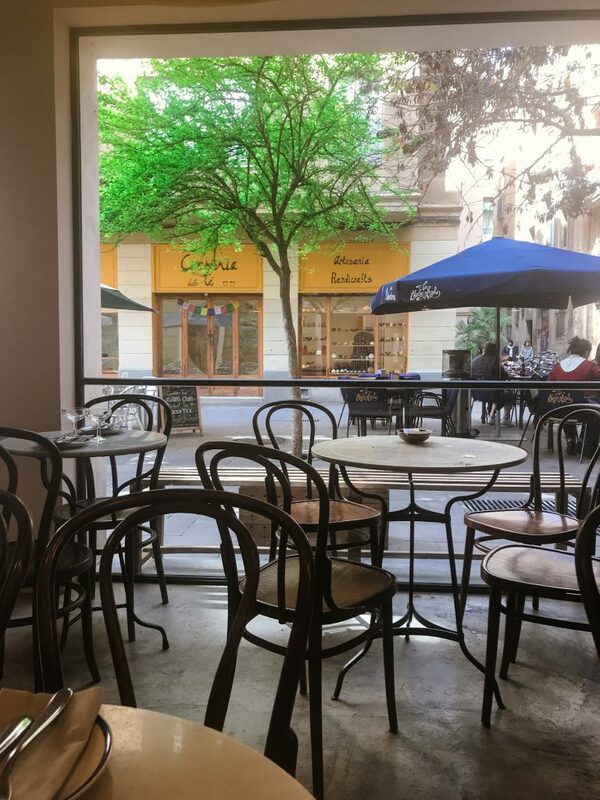 When we first arrived, we walked along La Rambla and somehow wandered over to this restaurant. 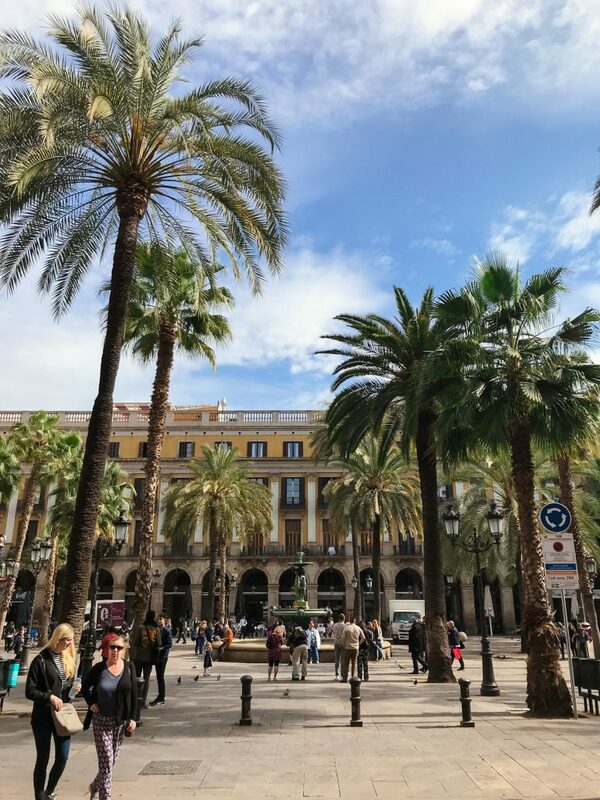 I’ll admit that it’s not the best food you can get in Barcelona, but you can sit outside in this little square right next to a church with a big beautiful tree… and sipping sangria there was absolutely perfect for our first afternoon. PS. 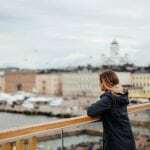 You might also like Why We’re Traveling Instead of Exchanging Presents, What To Do In Helsinki, and Where To Eat In Helsinki. AMAZING! 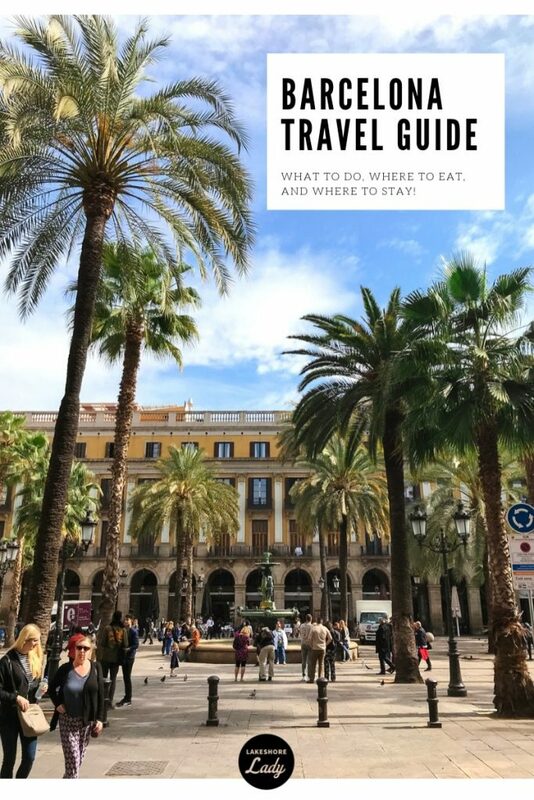 This is such an awesome guide to Barcelona and totally makes me want to go, like yesterday! There is just something about Europe that is just so special to get to experience. Reading this brings all my ROME memories back, seriously one of my favourite cities and holidays. I’m going to keep this handy so that one day when we go we can use it! 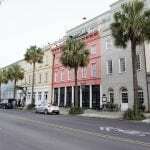 I have to go to Cotton House Hotel, one day!